HAIR LOSS: WHEN YOU SHOULD START WORRYING? Hair loss can really be a daunting experience for anyone – no matter their age or gender. Our hair often has a large impact on our self-esteem, as it’s an experience generally associated with negativity, or as being a cosmetic problem. When it comes to the right time to start worrying, it can be hard to tell when the situation is becoming a little more than a few stray strands pulled out by the comb. Clumps and large bald patches are generally a good indicator. If you think it has gone past the point of normal and are plotting your plan of attack, there are lots of easy solutions that will have everyone fooled into thinking your hair is just as luscious as it has ever been. Hair concealers like bioTHIK are an incredibly easy solution. They work in under a minute, are easy to apply and are an all-natural product that perfectly hide any thin spots. Here are some ways to tell whether you might be going past the point of normal hair loss. Is hair loss in the family? If you’ve noticed that your hair is shedding more than usual, look back at your family history. Balding can unfortunately be a hereditary trait – so if your parents are a little bare on top, ask them when it started happening. If it’s not far off your age, perhaps it’s time to think about how to deal with the unfolding situation. Have I been a little harsh on my hair? In some cases, hair loss may be caused by a condition called ‘Traction Alopecia’. This condition is often developed in people who put quite a strain on their hair – commonly through wearing their hair in styles such as cornrows, tight braids or anything that ‘pulls’ more than normal. This tension can cause hair to fall out. If diagnosed early, Traction Alopecia can be treated – if left, it can be permanent. So if you think you may have it, best to get it sorted early! Have I been particularly stressed? Stress is a well-known cause of hair loss – and if it is what’s causing you to shed, then you should definitely get it checked out. This is because hair loss by stress isn’t caused by things like running late for work or trying to get dinner ready on time. 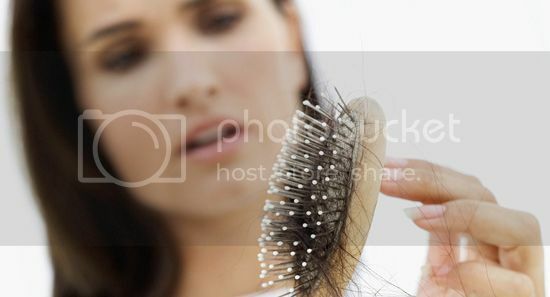 The hair loss is caused by the hormone imbalance caused by stress – a change that can only occurs if the case is severe. The kind that gives you sleepless nights and affects you physically. Definitely something to get sorted – for your hair, and yourself! Hair loss can be a scary experience to go through, especially if it’s something unexpected you didn’t foresee in your cosmetic future! If you’re starting to worry that your locks aren’t looking as luscious as they once were, it is important to find out the cause if it’s not immediately obvious. Sometimes, the cause can be treated early, sometimes not – but it’s definitely better to be informed. What caused you to start worrying about your hair loss, or the hair loss of someone you know?